Nairobi… A wave of new online travel solutions, especially relating to E-Commerce will be unveiled for the first time at the upcoming E Tourism East Africa Conference in Nairobi on the 2nd and 3rd of September this year. The conference, which is being sponsored by Kenya Commercial Bank (KCB), Safaricom and the Crowne Plaza Hotel will feature leading global players such as Trip Advisor, Expedia and WAYN.com – the world’s largest travel focused social media site. The international experts will be giving presentations at the two-day conference, on how East Africa’s tourism sector can harness the potential of the web, especially following the enormous interest generated in Africa from the 2010 FIFA World Cup. KCB, a lead sponsor of the E Tourism East Africa Conference, said: “The Tourism sector is hugely important to the growth and development of the region’s economies. The introduction of e-commerce in Kenya is an added opportunity for KCB to develop an innovative online booking solution”, said KCB Divisional Director Treasury, David Thuo. He went on to say, “The online booking solution allows for online transactions and reservations that are vital ingredients needed for the future of tourism across East Africa. The tourism sector will have an easy and affordable solution that will give access to reservations and management of online payments. With so many products and services being purchased online today, we want to ensure that the tourism sector knows the value and benefits of accepting online payments,” said Mr. Thuo. With recent research from Google showing that 95% of travellers use the internet as their primary source of travel information – and with over 48% of the planet’s travel being not just researched but and booked and bought online – it is crucial that the tourism sector across Africa invests in online marketing and management. Safaricom through the Easy Travel portal is also a key sponsor. Safaricom CEO Michael Joseph said; “We are a key service provider to the tourism sector and we have the right infrastructure in place to help promote this industry through an integrated service that incorporates both booking and payment functions”. Damian Cook, the CEO of E Tourism Frontiers, said that alongside the international speakers at this year’s summit, there will also be an impressive number of Africa based companies and projects presenting new and innovative ways of promoting and selling Africa online. “We have some amazing projects in our line up this year- including some exciting local products and projects from Kenya, South Africa and Uganda. We will be presenting a case study of the Friend a Gorilla project which made Uganda’s gorillas individual members of Facebook and their updates and followers made them a social media success story- with increased bookings and massive global media coverage”, said Cook. The E-Tourism Frontiers CEO summed up, “African Travel companies have seen the success of tourist produced online viral videos such as the Battle of Kruger, which has been viewed by over 50 million people, and they are now creating platforms for user generated content, reviews and discussions of their products. More companies are also using Twitter and Facebook to develop strong networks of supporters and consumers. The web has really made it easy for small players to use technology, creativity and innovation to make a big connection with global markets.” said Damian Cook. 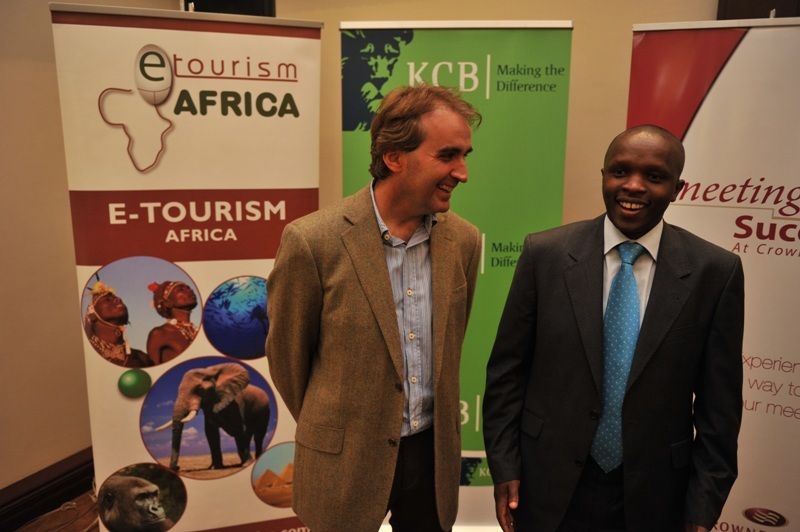 The E Tourism East Africa Conference will be held in Nairobi at the Crowne Plaza Hotel – Upper Hill on the 2nd and 3rd of September 2010. Previous article5 Easy Steps of Setting Up a Website Page-ranker! Applying online solutions from the the developed world into Africa’s booming tourism industry could prove very profitable. Yeah, Africa is picking fast to technology, the gap between innovation and implementation having been felt in the developed world.